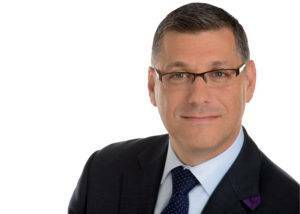 Daniel Herscovici is the SVP and GM of Comcast’s Xfinity Home. He is at the forefront of driving the transformation of the traditional home security industry with a variety of connected services that are not only enabling peace of mind, but also improved lifestyle experiences. We sat down with him to hear how Comcast is engaging their customers in this new world. Daniel Herscovici: The home security industry is more than thirty years old. It’s based on a simple premise: offer a local system that sounds an alarm and alerts the authorities in case of a life-threatening emergency. The technology was pretty basic: if a wire is tripped, then it automatically triggers a phone call to a monitoring station to call the police. The offering expanded to include making calls for an ambulance or the fire department. Over time, that service grew to reach about twenty percent of U.S. homes, but that’s about it. 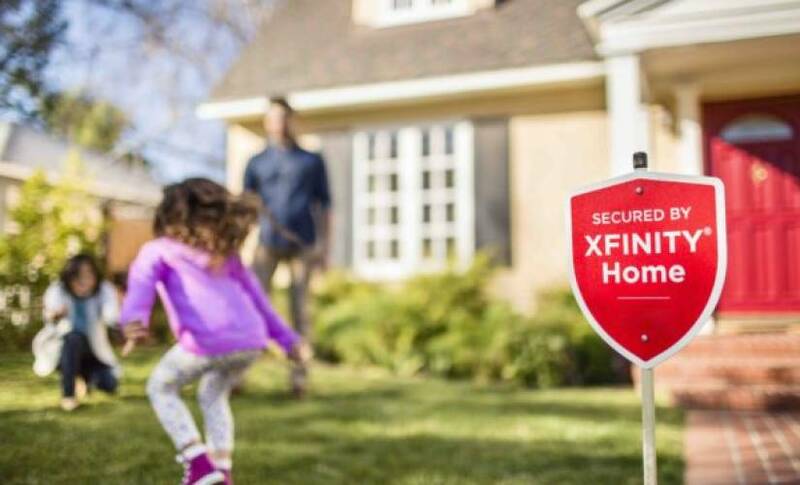 Through Xfinity Home, we’re telling consumers they should expect a whole lot more than just traditional home security service. Connectivity to your home and your system should also be available when you’re not at home. Whether using a smart phone or a web browser, customers should not only be able to arm and disarm their home security systems anytime, anywhere, but also see whether or not doors are opening and/or closing. They should also have the ability to receive notifications and get updates before the police are alerted and arrive at their doorsteps. Don’t get me wrong, today’s home security services are undoubtedly better than they were thirty years ago. But, new IoT innovations are evolving the industry beyond life safety or emergency services. Connected Home Security is also offering consumers more “peace of mind” experiences to check in on the things that matter most while they’re away and this is establishing an emotional connection to their homes and family while the homeowner is away. As these capabilities become more well known, consumers are increasingly updating their services. We’re at an inflection point just like before the introduction of the smart phone. Back then, everyone had a flip phone because mobile phones were about making phone calls anytime, anywhere. When smartphones launched, the initial transition was limited to early adopters, but soon accelerated. Today, we can’t imagine life without smartphones and the apps that run on them. I think we’re in the middle of a similar transition today. Traditional home security is like the flip phone, but consumers are switching to smart connected home security systems that unlock so many more exciting and easy to use experiences. ReadWrite: Experience is an important word. I had a conversation with the CEO of Philips Health and he had a very similar point of view on home security. He stated that security is like one’s health, it’s traditionally something that one is not engaged with as a consumer, until something bad happens. We’re seeing that this shift is happening in securing your environment and within connected health. DH: That’s a solid analogy. New home security services should absolutely deliver more than just arming and disarming one’s home. At the same time, consumers need to be educated about the new smart home features that can run on top of traditional home security systems. I’m thinking about staying connected to the household and managing daily home functions like checking in on your kids and/or pets, receiving alerts that a package has arrived on the front door and, even more importantly, another alert if that package is moved. Other popular functions include turning lights on and off and ensuring you’re not heating or cooling an empty house and wasting energy. We’ve designed Xfinity Home to address this new reality in a really compelling way. We offer a next-generation home security experience that layers in other capabilities on top of highly reliable life safety security. Working with a portfolio of devices developed by Comcast and partner integrations, our customers have the ability to open and/or close their garage door, unlock their front doors, and access streaming video cameras to view what’s going on both inside and outdoors – all remotely on one platform. In addition, we offer the ability to access the platform in a variety of ways: via the Xfinity Home mobile app, our internet portal, the touchscreen on our Home Hub, and even on our X1 set top box via the TV. In other words, when customers add connected cameras or smart locks to their homes, they have the ability to easily view their front door to see who is there ringing the doorbell or unlock doors remotely if they, for example, want to grant one of their neighbors access to drop off a package or feed the family pet while they’re across town or across the country. They can also simply check-in on their dog or cat to see how they’re doing, which creates a closer emotional bond and is a technological innovation that didn’t previously exist. So, my view is today’s home security solutions should absolutely reliably protect and secure, but also offer these kinds of peace of mind experiences. By peace of mind, I mean letting individuals and families connect to their homes and the people in them when they can’t be there physically. These new features have less to do with security and more to do putting one’s mind at ease. RW: So what smart home or Internet of Things experiences can we enable today? DH: From my perspective, there are four main categories of experiences we can enjoy and enable with smart home IoT devices today. The first category is “life safety.” That’s a specific set of experiences that includes: smoke and carbon monoxide detectors, door, window and motion sensors, power backup, and connectivity backup with cellular. Most importantly, it includes a 24/7 professional monitoring station that is watching your home and knows exactly when and why a signal is going off, and alerts that go out to the customer before the monitoring center contacts the authorities, whether the police, the fire department, or an ambulance. A second category is about offering “peace of mind.” Even though having a security system at home technically gives you peace of mind, there is more we can deliver that might not necessarily be an emergency that requires the authorities. For example, we provide remote access to monitor and control parts of the home and that enables customers to feel more connected when they aren’t at home. A great peace of mind use case is being able to instantly access a camera to check to see what a pet is doing. Another one is checking in on your phone to receive an alert that the front door opened at 3:28 PM, which means a teenager just got home from school. Another is placing a water sensor to get an alert about a leaking washing machine. Checking is another example of peace of mind. These are all peace of mind things our customers can control through a single app, single login, single user experience. The next category can be described as “save me money”. This focuses on reducing the household consumption of water, gas, and electricity. The most common way our customers can do this today is by managing their thermostat remotely so they’re not cooling or heating an empty home. Additional use cases might include a smarter sprinkler system or remotely controlling a pool pump. Finally, there is what I will call “lifestyle” benefits. These benefits include whole home audio, or shade and lighting controls, or other home automation features that just help improve a customer’s quality of life. At Comcast, we address many of these types of benefits in our Xfinity Home solution today, and that list is growing every day. The system upgrades and adds features all the time. It’s another way we differentiate ourselves from the traditional home security companies and give our customers a truly seamless smart home experience. Our goal is that when a consumer buys a smart home device, it should not only connect, but there should be one company that supports it, installs it, and can answer questions and offer support in real-time. You shouldn’t have to call the company that runs your smoke detector or the company that manages your cameras or doorbells to receive assistance. Our customers should be able to call us with any questions about their smart home devices, at any time. They’re going through a steep learning curve right now and they need help and education. Further, adding all these devices should not increase your monthly bill. While they have to buy some the devices, the service should support that hardware at no additional cost. RW: That’s the problem, you have companies offering the smart home experience that are backing into offering customer service and Xfinity Home has been offering service and support since day one. DH: We try to deliver solutions to a mass market. So, we want to reach a large population of consumers interested in unlocking these smart home experiences. Even assuming you’re a wildly successful IoT company with a great smart home device, you will have a huge challenge scaling and addressing your customer support needs. Tackling the mass market means having to help a group of homeowners who might not be as technologically savvy as early adopters. So, we have to make sure the devices that are a part of a customer’s smart home ecosystem interoperate with each other and are reliable. We have to support those devices with well-trained techs in the field who can go to a customer’s home and install and fix things, with helpful customer care agents on the phone to help with education, and with a retail workforce in our Xfinity stores who can sell not just home security, but a growing number of smart home devices. We know our customers expect that value, they should expect that level of comprehensive service and that’s what we strive to deliver. RW: Absolutely. You just mentioned something that’s a pet peeve of mine. I’m an early adopter, yet I’m in this industry and I don’t own a single connected home device. The reason is because of the fragmented nature and the many apps to control different devices. This idea that I can enhance my environment without having to have a complicated experience is very enticing, however. DH: We designed our critical life safety components from end-to-end. We also selected a key peace of mind device, the streaming video camera, to design within Comcast. However, in addition to the core devices, we’ve partnered with best-in-class companies, like Nest, August Home, Lutron, and Chamberlain, to integrate key smart home products onto our platform. Through the Works With Xfinity Home partner program, we curate, test, and integrate the best smart home devices so our customers can easily control all their smart home devices in one unified experience. Our goal is that the lighting, thermostat, motion sensors, door locks, and everything that is part of their home’s ecosystem, should be super easy to use. For instance, we’ve ensured that the Nest Thermostat is fully integrated into the rest of our Xfinity Home service so customers can not only trust that device, but manage it via our platform. Ultimately, we need to bring comfort and support to people who are going through the transition of upgrading to a new connected security service as well as learning about smart home technology. If we can make it simpler and easier for them, then we can help accelerate this massive sea change that’s taking place. It’s really exciting. RW: It’s not just an experience, it’s a curated experience.